GitHub's answer: Enhance the website for core activities. A lawyer who wants to change one word in a legal document needn't use the scary Git client; she can edit the file in the browser. That action will kick off a pull-request workflow that automates the creation of a branch dedicated to the proposed change. GitHubbers like to say that "there's only one way to change something." Nobody is required to follow that golden rule, but doing so follows a path of least resistance. As a result , everyone in a GitHub-enabled company can easily adopt this best practice. "Instead of grousing at the water cooler because the software is terrible," says Brian Doll, "you have a way to change it." That engagement can extend to customers as well, though in the case of GitHub it doesn't. 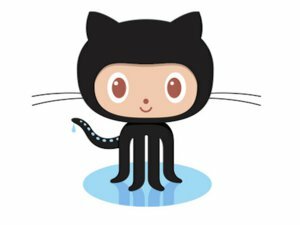 "Short of getting hired there," says Greg Wilson, founder of the Software Carpentry project, "there's no way for me to fix how GitHub manages permissions, allow a user to make multiple forks of a repo, or anything else." Wherever GitHub-style interaction is enabled, though, the change mechanism works the same way, no matter whether the contribution to a change is code, documentation, legal advice, business perspective, or customer feedback.